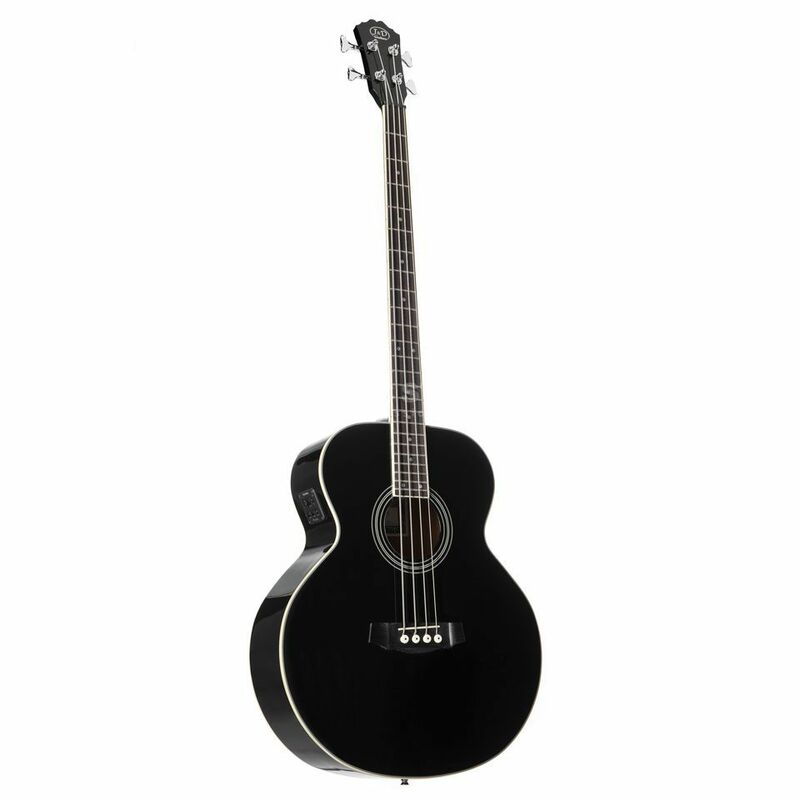 The J&D ABG-1 Electro-Acoustic Bass, Black offers the player a remarkable vintage acoustic bass tone at a very affordable price. The bass is also equipped with high quality Die-cast machine heads and has a black finish. Ive just started learning bass and I find this an excellent instrument. The price is unbeatable for a bass of this quality. Rapid delivery time. Received it in less than a week. good instrument!! very accurate finishing, excelent fishman preamp, solid structure. i nevere seen a instrument with these specs at this cheaper price and i advice it for players that desire acoustic instrument. I found this instrument to be excellent instrument. The big body produces very good volume when its unplugged compared to other acoustic basses Ive tried out. Overall Im very happy with it and Id recommend it to anybody. Also it was delivered very fast and packaged very well.